truck drivers | Platinum Drivers Inc. There are roughly 3.5 million professional men and women in the trucking industry today. These professional drivers are responsible for safely distributing goods all over the country in a timely manner and fashion. Being a commercial truck driver is not as easy as one may think, and in order to become a CDL driver, one must go through an extensive screening process and training. Often found on many of our major highways, we would be in dire straits for large quantity product transportation across the U.S. without dependable truck drivers. This is why September 11-17th is designated National Truck Driver Appreciation Week. We will do our due diligence to thank those men and women who spend countless hours and days on the road doing a job that truly benefits the country and our economy. During this weeklong event, there will be events held by the American Trucking Association as well as the sale of merchandise and tools provided for companies that are scheduling their own NTDAW event. One of the main goals of this week is to bring awareness to the conditions that truck drivers face, such as conducting timely deliveries of critical products and goods all over the country, as well as information on what we can all do to help to keep the highways safe. These are hardworking men and women and shedding some light on the important services they provide is key to a successful appreciation week. There already is a great amount of respect for commercial truck drivers, but what Americans can do to show additional support is to drive safe as well. These men and women make great sacrifices and commit to providing a service that helps keep America thriving. To be part of National Truck Driver Appreciation Week visit the official website found here http://www.trucking.org/Appreciation_Week.aspx. 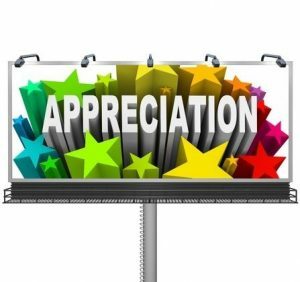 You can also organize your own appreciation event and by clicking the same link above, where you will find great resources to do so. At Platinum Drivers, we strive to keep the trucking industry filled with quality employees and employers. If you are looking for a trucking driving job, contact us today.